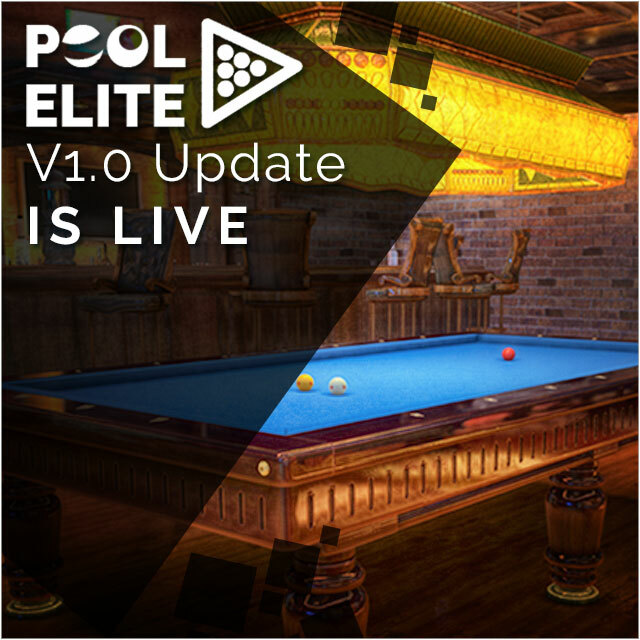 Pool Elite V1.0 Update is finally here! Thank you very much for your support and we hope you will like our grand update. As you already know, our game gets better with your feedback, so we’ll be reading your opinions about the new systems, improvements and changes. >> Chip betting is removed! You will always win chips with new system. How? You will earn chips from the game system. You will no longer lose your chips or take your opponent’s chips. Also you will receive chip prizes from daily quests. 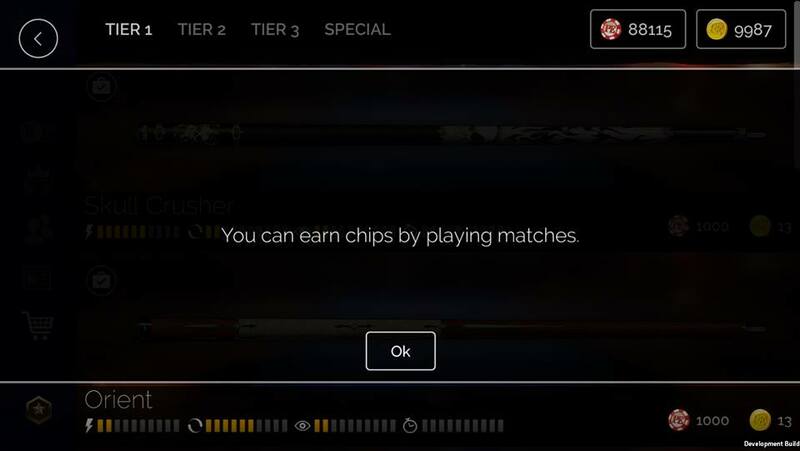 Previously you were not be able to purchase some items with Chips that you won by winning matches, because they were Gold items. With the new system, you are free to make a decision while purchasing an item. If you want to purchase the item with Chips, you can use your Chips. If you want to purchase that item with Gold, you can use your Gold. – We will count the series of consecutive pots by a player during a single inning. You will see how many points you made during single inning near score bar at top. If you lose your turn, the score bar will be reset. 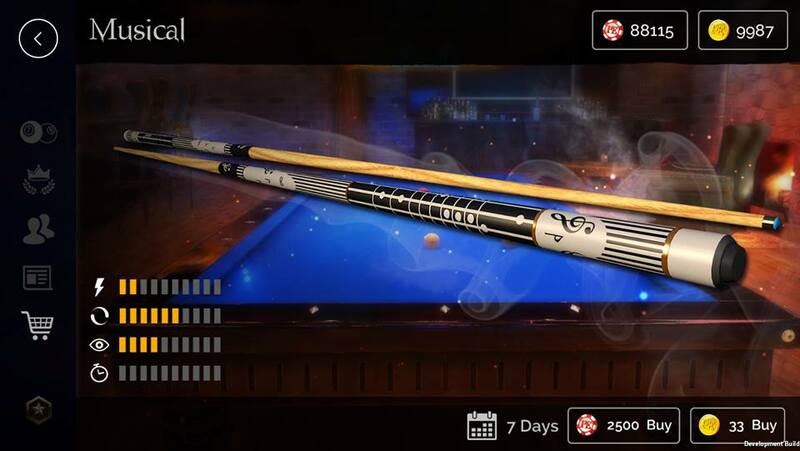 So if you go for a maximum break, don’t forget to take a screenshot! 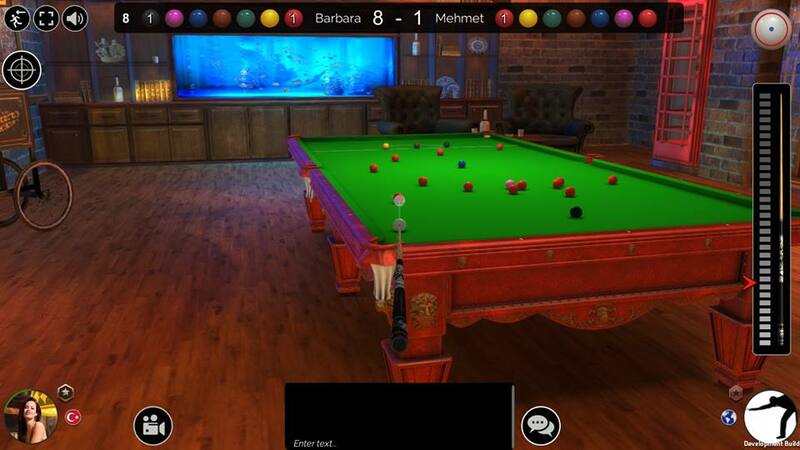 – Score bar will also show you which balls you potted during the match. This will not be reset if you lose your turn. – Series of consecutive points by a player during a single inning will be counted. You will see how many points you scored in one inning near score bar at top. If you lose your turn, the score bar will be reset. It also means that mini pop-ups which appear at the left of game screen will not be there anymore. 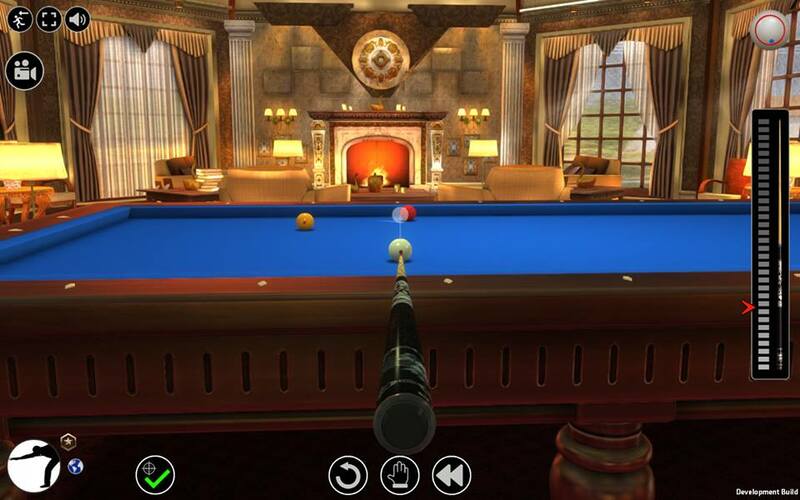 – Color of cue ball will be shown near the names of each players. 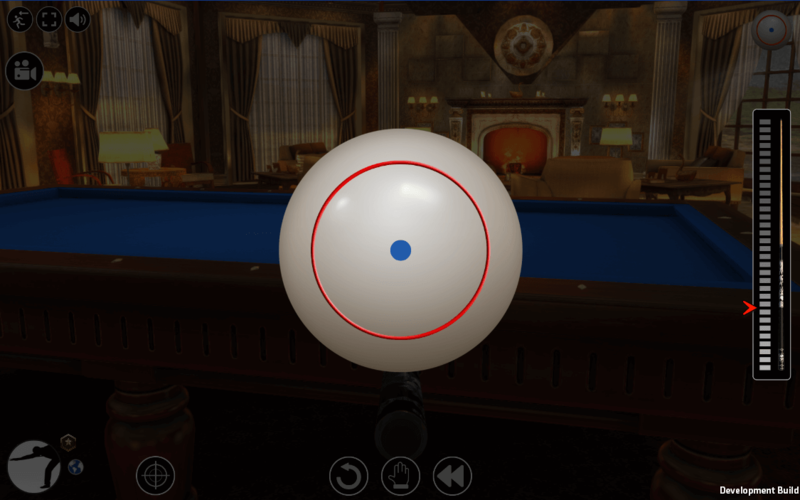 So if your cue ball is white, the white ball will be shown near your name. You will see that all items in new market will be 7 days. Not for 1 day or 30 days. Also, we greatly reduced the price of 7 day cost of items! Yes, you will be able to unequip the items that you don’t want to use at the time and equip again when you want. As a reminder, the duration of the item will continue to progress even it’s unequipped. You will no longer be able to buy chips in new system. You will be able to earn Chips by playing matches, by completing daily quests and earn Chips from events. 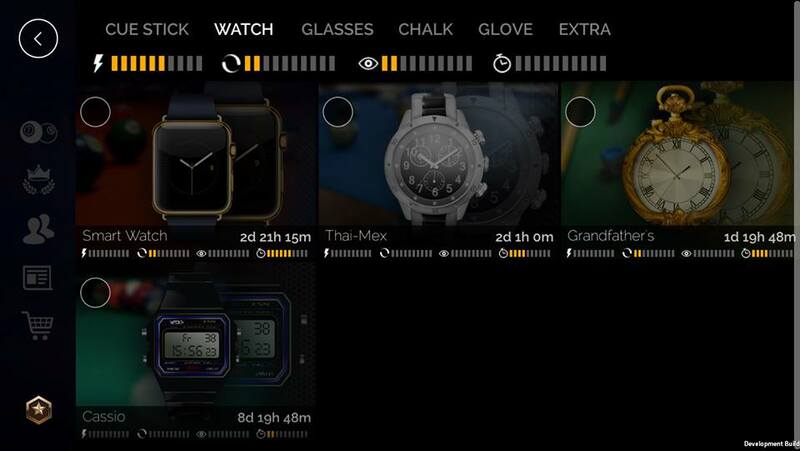 We have made some improvements in in-game UI after receiving feedback of our players. In Pool Elite V1.0, when you right click spin ball, the big version of the ball will appear in the middle of screen and you will be able to set spin more precisely. If you don’t want to use right click, you will still be able to set the spin by left clicking the mini spin ball. You will be able to use precise aim button which is located on game screen. It will have same behaviour with shift button on keyboard. When you click on it to use precise aim function, you will see the green tick icon. To release precise aim mode, you will need to click on it again. – There will be no double bet option (2x) anymore to increase match end score. 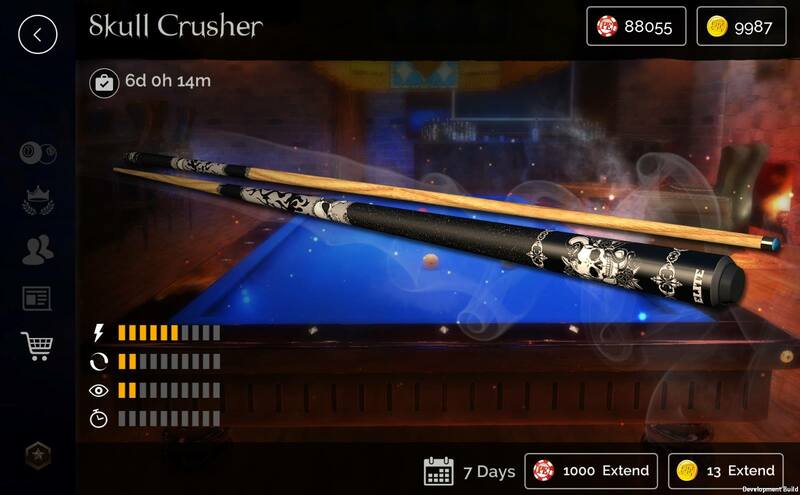 Instead of this, we added fixed end scores that you can choose in Carom and 3 Cushion. 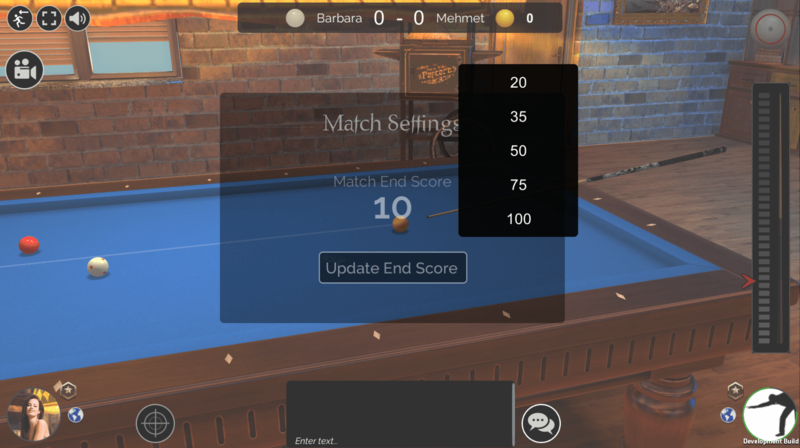 To offer new end score to your opponent, just click score bar at top and select the score you want. If your opponent accepts your offer, this will be the new match end score. You will be able to see the current end score by clicking the score bar. Previously we were using star system to show Power, Spin, Helper and Time stats of an item. 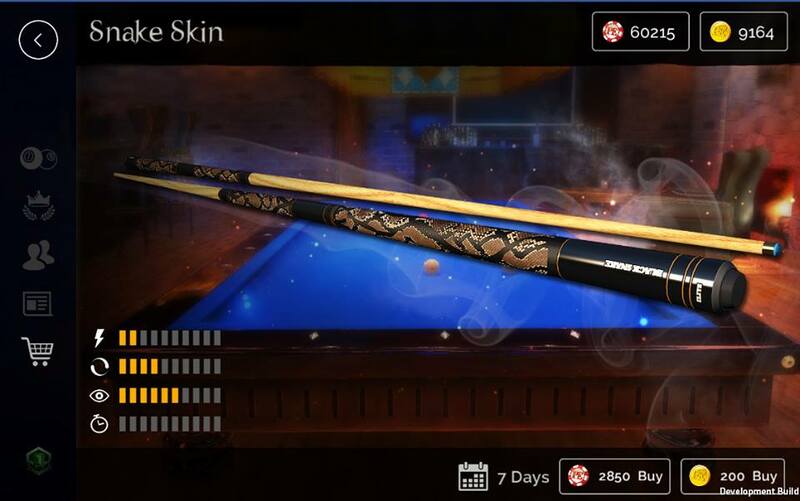 In Pool Elite V1.0, we started to use bar system to show the stats. The star count of an item was multiplied by 2. It means the item which had 2 Star Power, is now have 4 Bars in new system. 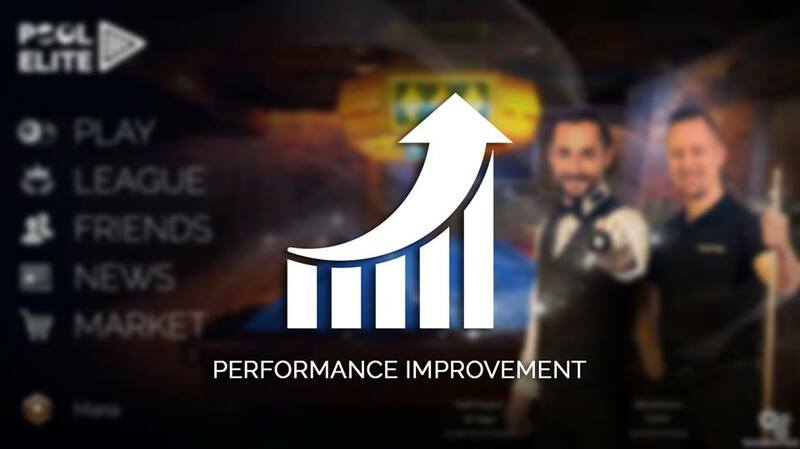 One of the best improvement in Pool Elite V1.0 is performance improvement. We optimized almost everything in our game. It means you will launch our game faster, use the menu faster and will have smooth gameplay. If you use low-end computer, you will definitely feel the change and like this improvement. By having close relationship with you all the time, we were be able to find out what kind of social features we should have in our game. And we developed Friends menu with your feedbacks! 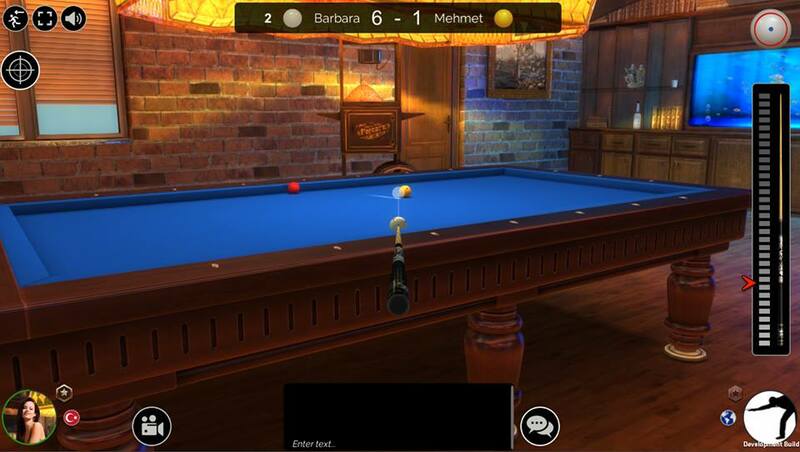 – Only see the friends who play Pool Elite. – See your online and offline friends. 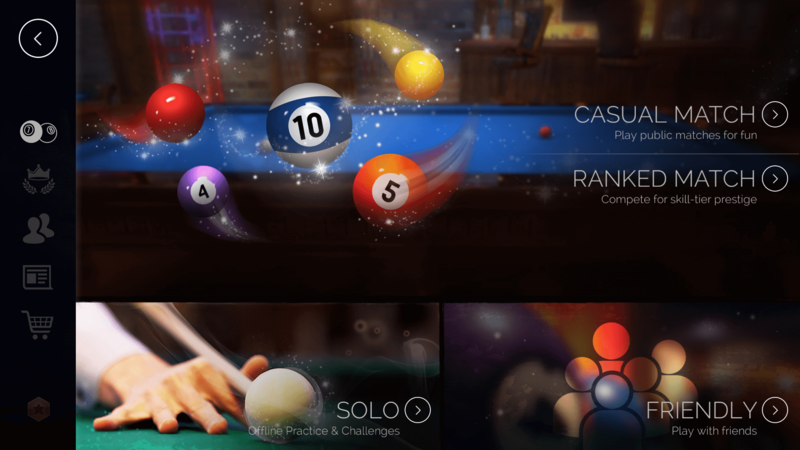 – Send and receive challenges without leaving game: Yes, if your friend is online in Pool Elite, your friend will receive invitation while in lobby as you can see in screenshot. 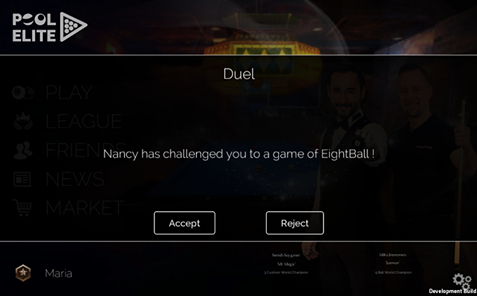 You can also send a challenge to your friend if your friend is in practice or multiplayer mode. – Chat with your friends in Friends menu. – Add other players as friend without adding them from Facebook: You will be able to send friend invitation to your opponent. – Notify your followers: if your friends have followed you by clicking Follow button, you can send them notification and say that you are in Pool Elite.